Hair Clips by Scrumptious Pretties Review | The Arcade Archives! I don’t know what girl doesn’t love hair clips and for a geeky chick like me if they are nerdy that’s even better! 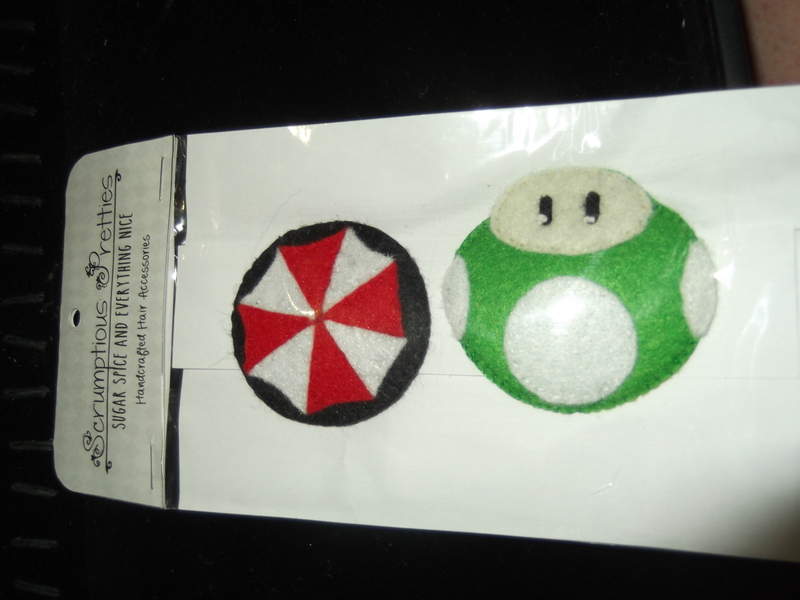 Scrumptious Pretties has an amazing assortment of geeky hair clips. 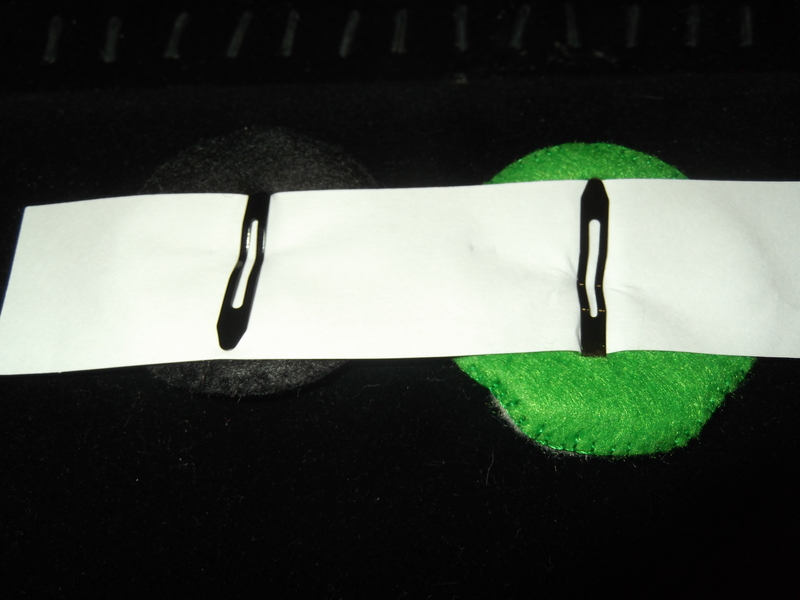 The hair clips are made of out of a felt material with little snap clips on the back. They aren’t small either so you get a great addition to your wardrobe. 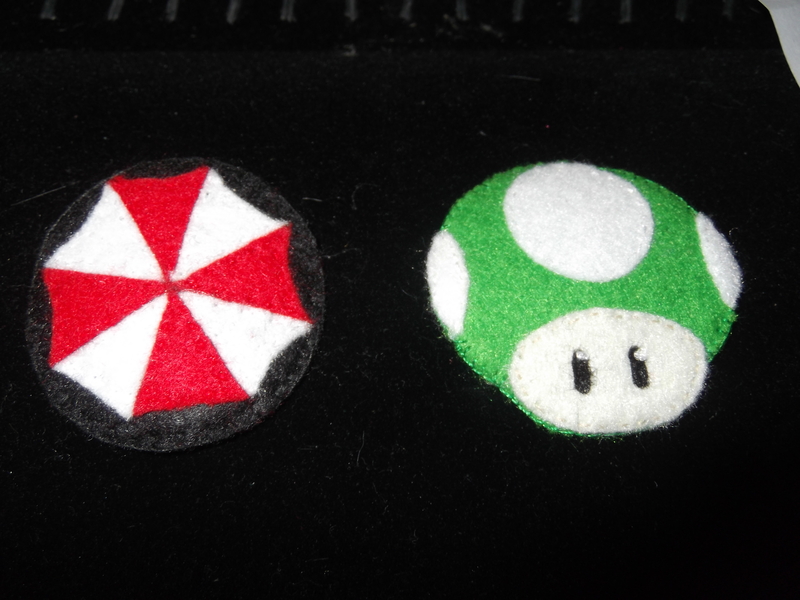 As you can see the set of clips I have are from two of my favorite things Super Mario Bros. and Resident Evil! They also hold your hair well! I have very fine hair; a lot of it but it’s fine so nothing stays in my hair with out slipping. I didn’t have that issue with this clips they stayed put. Did I mention they come in cute custom packaging? This was a neat bonus! A lot of times when you order an item off of Etsy it doesn’t have packaging like this; it wrapped in tissue paper so this was a great addition. The price of these hand crafted hair clips are great too. They start at $4 and go up to $15. They also offer custom designs as well if you don’t see something in the store that fits your needs.